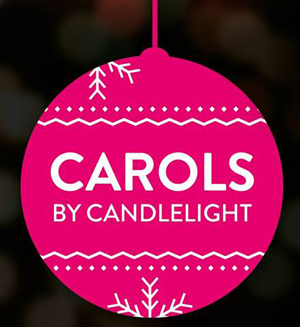 An annual charity event run by Henshaws, a charity which helps partially-sighted and blind people in Greater Manchester gathered a large crowd and support this evening for their Carols By Candlelight. Set within the ancient splendour of Manchester Cathedral, the music sounded magnificent un-amplified, resounding off the high vaulted roof, especially now with their new show-piece Stoller organ, which I was hearing for the first time this evening. However, I was just a little confused between the title of this evening and its actual content. First, I did not know whether it was supposed to have been a carol concert or a carol service, as this evening sat somewhat awkwardly between the two. Secondly, as for the candlelight part of it, well we sat through the vast majority of the concert in normal lighting and only had candles for the last two carols. The effect was lovely and truly beautiful to see the cathedral as it would have been seen in the days before electricity, but sadly it was far too little too late. The carol service part of the evening was a little unexpected. We had a welcome address and continuity announcements by Canon Marcia Wall, the Dean of Manchester; a bible reading by Lord Lieutenant Warren Smith, and we were asked to stand to sing community carols throughout the evening. In between the musical acts this evening we also had readings of poetry, and heartfelt addresses by those involved with the charity. Graham Dixon came up to read a rather amusing poem with a poignant message, 'A Politically Correct Christmas', and Dave Steele read two of his poems, 'The Stranger' and 'Shift This Cloud'. His story was informative, emotive and inspirational. There was also a couple of very young girls who came up first to read their own Christmas version of 'We're Going On A Bear Hunt', Hana and Zara Ajaz; but why ask them to use the lectern when they were both far too tiny and could not been seen standing behind it. That was just bad planning and someone should have done something about that. Concert items included a performance of a few songs by Chapel Street Primary School Choir, The Sale Salvation Army Band, and to finish the first half of this evening's programme, a blind pianist Stefan Andrusyshyn, accompanying a partially sighted user of Henshaws' services, Jess Bennett, who sang a rather plaintive and lovely 'O Holy Night'. After the interval it was the turn of Chetham's School Of Music who entertained us with Warlock's Capriol Suite arranged for piano duet. In this case, two movements of the suite were taken by two young girl pianists three times, so movements 1 and 2 were played by Maia Payne and Katie Laing; movements 3 and 4 by, Carmen Alvarez and Ning Geng, whilst the final two movements were played by Alicja Kojder and Mischa Carr. Once again though due to the organisation of this event it meant that most people would have been unable to have seen anything since the piano was stuck in a corner and their tutor, who turned pages for them, stood in the audience's way. The two best items on the concert programme however were saved until last. Once again the blind pianist Stefan Andrusyshyn came back this time to accompany blind opera soprano Denise Leigh, who delighted us with her sonorous and melodic tones singing, in Czech, 'The Song To The Moon' from Dvorak's 'Rusalka', and then back to more familiar territory with the very English, 'To The Queen Of Heaven' by Dunhill. And the other highlight this evening was hearing the wonderful sounds of The Manchester Chorale. Beautifully phrased with great dynamics and sound, this chamber choir truly impressed as they sang 4 Christmas favourites both unaccompanied and to piano accompaniment. It was only after all of this mentioned above, that for the final 10 minutes of the evening did we experience the candlelight part of the event.